Welcome to College news. News is displayed in date order as received with most recent at the top. You can SEARCH for a specific article using the search box above. You can FILTER the news to view those article applicable to your child/ren’s school (Junior, Middle or Senior) or those that are of specific interest to you. Note: You can select more than one filter option at a time eg Junior and Senior. 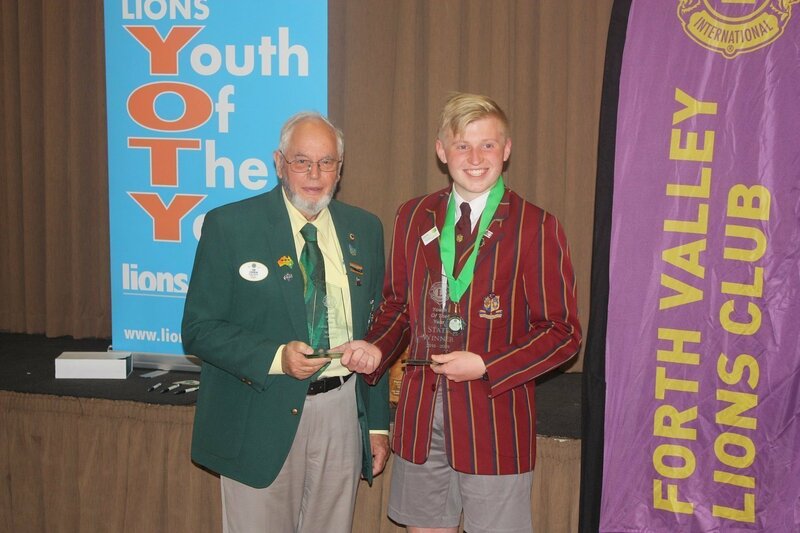 Ethan Hamilton (Year 11) is the new state winner of Lions Youth of the Year! 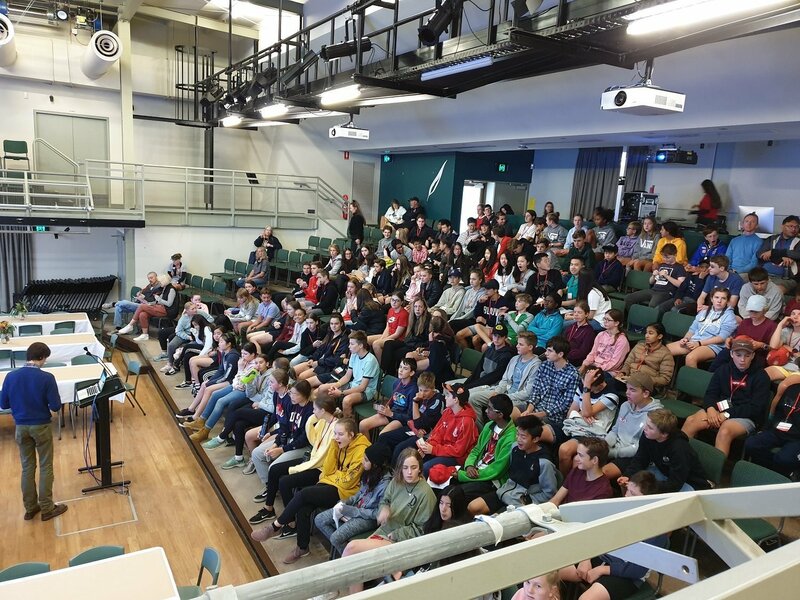 During the holidays, on Sunday 14 April, he travelled to Forth to compete against representatives from both the North West and Southern Tasmania to clinch both the best public speaker and overall winner. He will now compete in the national final in early May at Geelong, Victoria. Well done, Ethan! 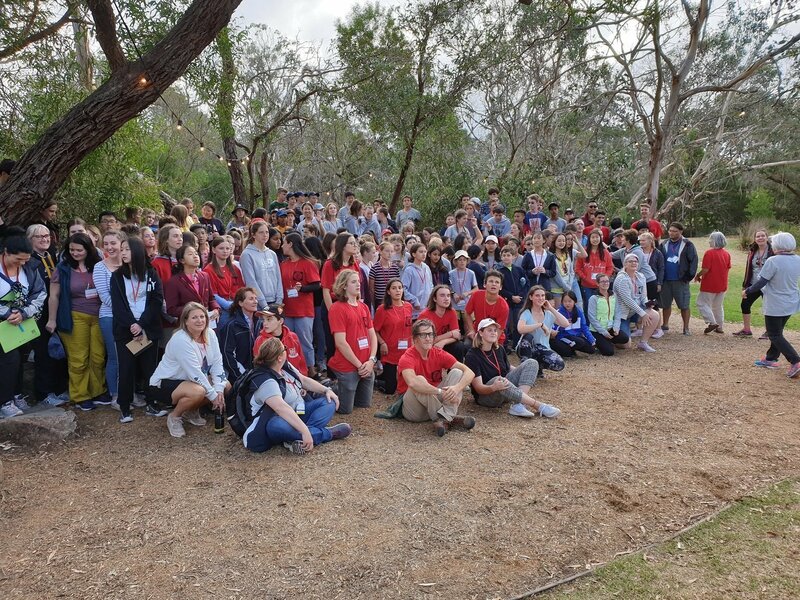 How quickly Term 1 has gone; a term that has provided so many opportunities for our students and extended community to show the Scotch Oakburn spirit. I am sure that after so many events, activity and involvements, everyone is looking forward to being able to relax, rejuvenate and spend time with family and friends. I’d like to take this opportunity to thank everyone in the College community for your involvement this term and your on-going support. Whilst on the topic of community, I’d like to take this opportunity to advertise a number of College events in the year ahead. 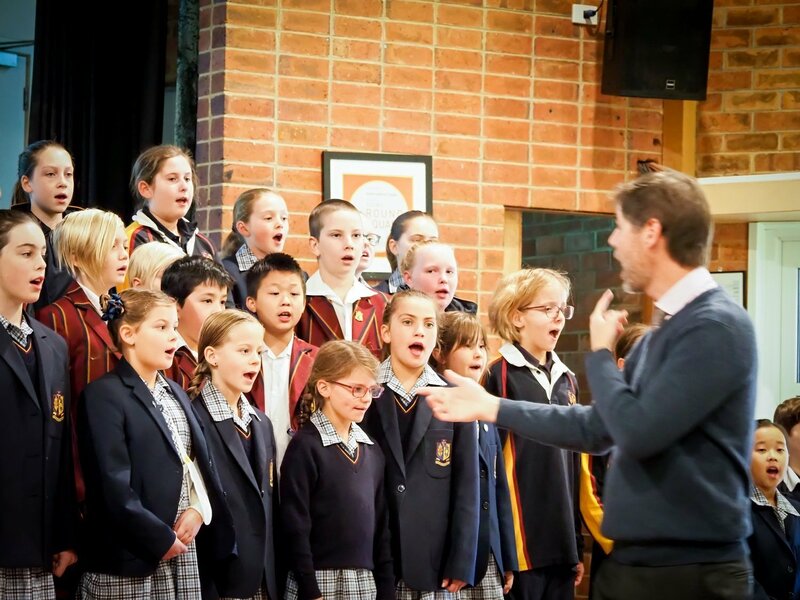 The Mothers’ Day Morning Tea, Autumn Concert, Annual Dinner, TCE Play and Senior Play, Spring Concert, Fathers’ Day Breakfast, Junior School Soirees, Grandparents’ Days, Spring Cocktail Party and the Middle School Arts Evenings as well as many other smaller events and performances throughout the year provide an opportunity for us to come together to celebrate the learning and achievements of our students as well as enjoy the camaraderie of our community. 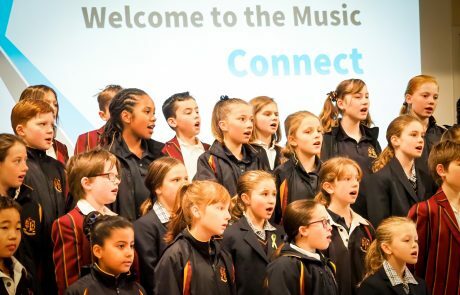 All of these events provide the opportunity for the involvement of a breadth of student age groups and the bringing together of staff, students, parents and our extended community in a wonderful celebratory atmosphere. On a different note, students are reminded that the wearing of Winter Uniform begins on the first day of Term 2, Tuesday 30 April. This gives our students two weeks to ensure that their uniform fits properly, that hair is neat and tidy and they are well organised. I wish everyone a safe and relaxing break over the next few weeks and trust that you will enjoy spending time with loved ones. I look forward to seeing staff and students on Tuesday 30 April, ready for the opportunities that the new term will present. The College Shop is open 9.00am – 5.00pm on Wednesday 24 and Friday 26 April for winter uniform requirements. Normal term hours from Monday 29 April. Please remember that winter uniform must be worn from the first day of Term 2. Classes for all students on the Penquite Campus resume on Tuesday 30 April. 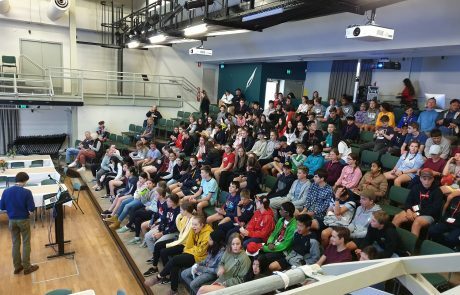 Week One is a busy week of term with the Athletics Carnival on Wednesday 1 May and Winter Sports meetings being held on Friday 3 May. If any student in Year 7-12 wishes to change their Winter sport options, they need to make contact with Mr Jeffery as soon as possible. A reminder to students in all year levels that winter uniform should be worn from the start of Term 2. As winter approaches it is important for everybody to have a school jumper at school daily, along with a waterproof parka or raincoat (see school uniform list) in the school bag for use as needed during the school day. 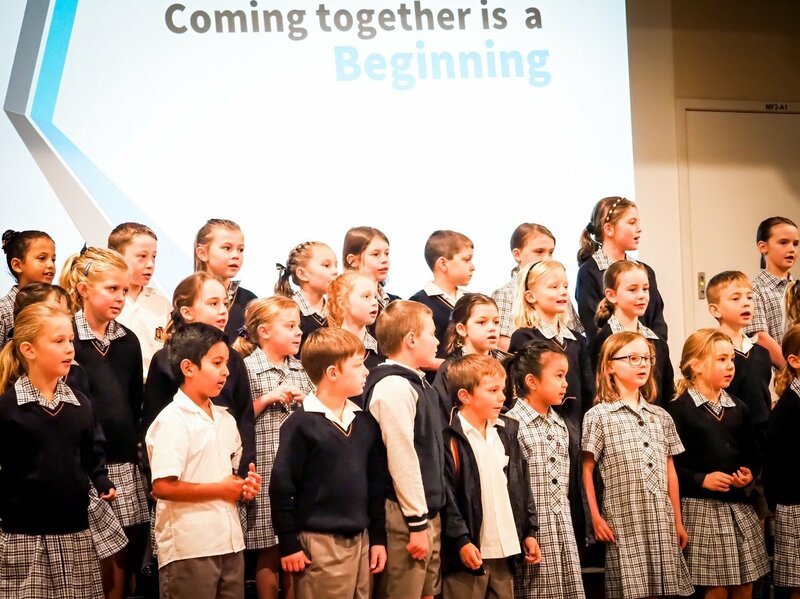 Thank you to all students, staff and families for their contributions to the College learning community this Term. 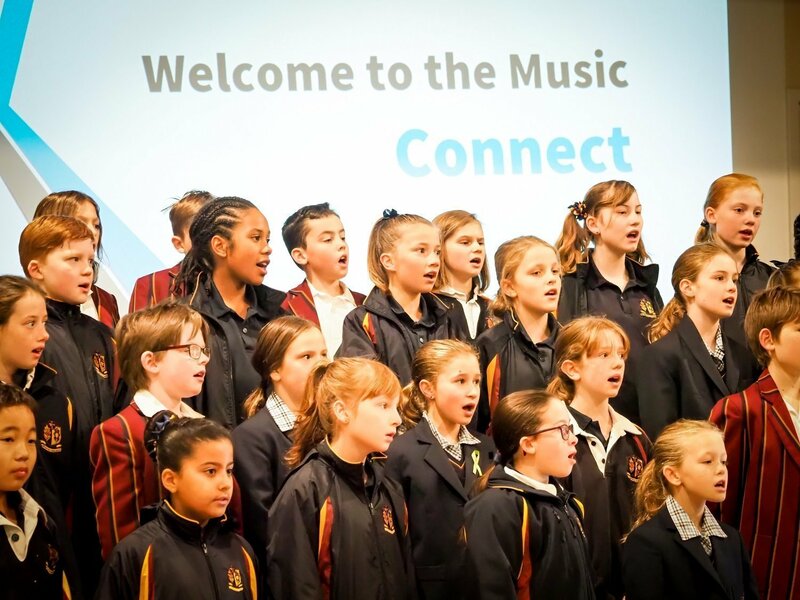 Belonging, compassion and respect head the College values which have drawn us all together through a very engaging and productive Term’s learning experiences. Best wishes to all members of our community for an enjoyable school holiday break and for a happy and safe Easter. The Elphin Campus office is closed during the break, reopening on Monday 29 April when all Junior School classes resume. The College office at the Penquite Campus will be open in normal business hours next week, closing for Good Friday. In the second week, it is open on Wednesday 24 April and Friday 26 April. All students are invited to participate in the ANZAC Day Remembrance March on Thursday 25 April (second week of holiday break). Students are asked to meet near the fountain in Princes Square, Charles Street at 9.45am, reporting to a College staff member who will take attendance. Students are required to wear their full winter uniform for the parade. If students wish to wear medals of those who gave service in your family, they must be worn above the right breast. We anticipate that the parade and civic service will finish at approximately 11.45am and request that students be collected at that time from the Launceston Cenotaph in Paterson Street. Parents were sent an EdSmart slip previously to RSVP for their child’s participation. 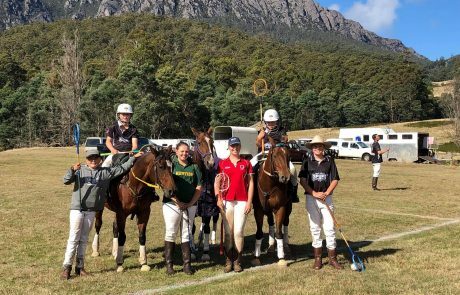 A wonderful group of Scotch Oakburn Equestrian riders participated in the Pony Club State Dressage and Show Jumping Championships on Saturday 6 and Sunday 7 April at Westbury. Entry into this competition is an achievement in itself and all riders who participated should be very proud of their participation. Students who competed throughout the weekend were Abi Brooks (Year 8), Ella Nast (Year 7), Ingrid Bradley (Year 11), Daisy Willows (Year 8), Jock Johnston (Year 6), Scarlet Glover (Year 4), Iona Glover (Year 7), Jessie Grove (Year 10), Chloe McFarlane (Year 10), Bethany Hirst (Year 10), Ruby Hirst (Year 6), Tommie Glover (Year 12), Clair Russell (Year 8), Harry Furzer (Year 10), Emily Kilby (Year 10), Hannah Scott (Year 10) and Lucy Johnston (Year 5). 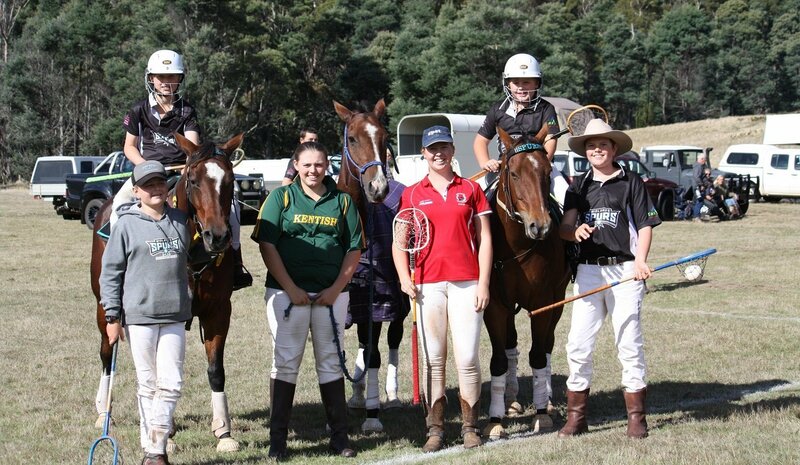 Abi Brooks and Ella Nast were in the spectacular team that came first in the musical ride. Iona Glover, Clair Russell and Scarlet Glover placed second in this event, which involves synchronised riding to music. 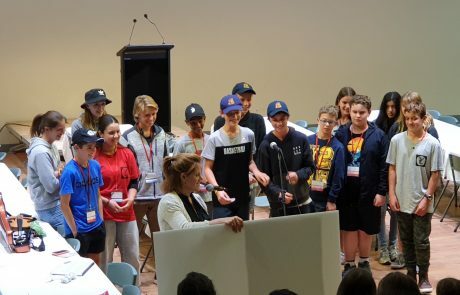 We are currently looking for expressions of interest from families in the hope to get a team from Scotch Oakburn College or a joint Tasmanian School Team to ski/board in the SA Interschool’s competition, Falls Creek, Victoria, 14-19 July 2019. The races are the Wednesday 17 & Thursday 18 July. If the times are fast enough this may qualify you for the National Interschools Competition. Last year, a current student, Abbi Lloyd-Bostock (Year 5), participated by entering the SA races. This year we are trying to get a team together to represent Tasmania and Scotch Oakburn College. It is for all ages and abilities. It is more about having fun. There are both primary and secondary categories. For information about the SA Interschools visit www.sainterschools.com.au If you click on the SCHOOLS link or SASKI WEEK link it will give you some good Information about Falls Creek and the SA Interschool’s competition. 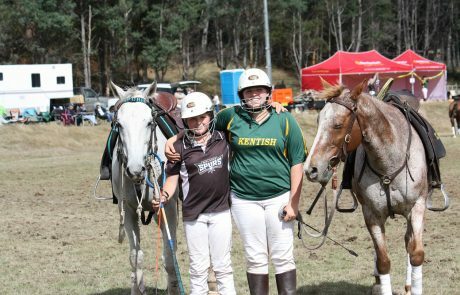 Harry Furzer and Bethany Hirst (both Year 10) have been chosen to represent Tasmania at the Tintern Grammar 2019 Inter-School Horse Trials Championship that will be held during the holidays. We wish them the best of luck in this competition. On Thursday afternoon, our Year 5 Junior School team competed in a Virtual Debating experience against St Catherine’s Catholic College (NSW). The team included Isla Lifshen, Jack d’Emden, Makaela Fulton and Amelie Geddes. The topic of the debate was ‘ Phones should not be allowed to be turned on during school hours’. 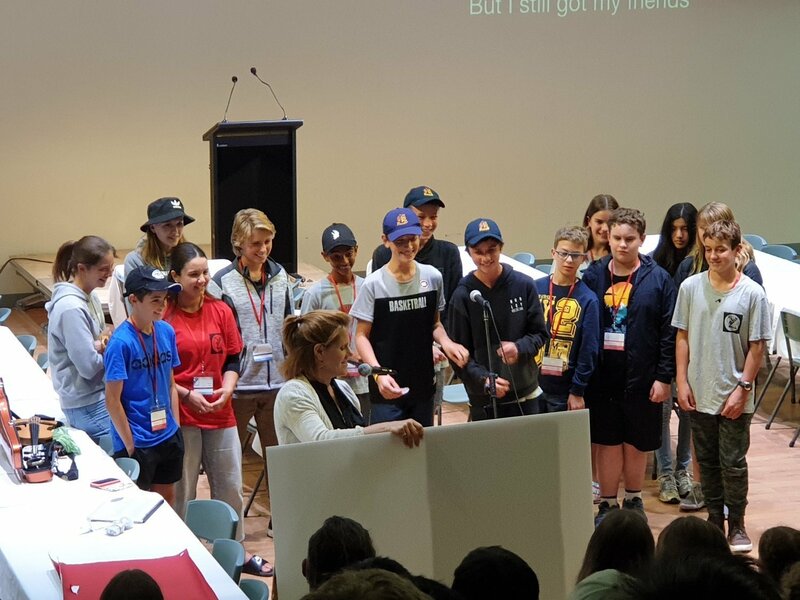 The Scotch Oakburn College team was the affirmative and presented the argument on why phones shouldn’t be allowed to be turned on during school hours. The team won the debate by one point! The team was outstanding in their first debate, and individual strengths included the emotion and creativity that Jack showed as first speaker, Makaela’s research and presentation of facts and statistics supporting the team position as second speaker, and Amelie’s excellent rebuttals and summation of the argument as third speaker. Isla had a crucial role in supporting and identifying rebuttal points during the debate and preparing research for all team members as they prepared for the debate. The team has now progressed to the next round and will compete against another interstate team in Term 2. I would like to remind you about the Parent/Student/Teacher Conference Day being held for your child(ren) on Monday 29 April. This day will be a student free day and staff will be available for ten-minute conferences from 10.00am onwards. There are limited spots available and bookings can be made as per the instructions emailed to parents. This is a change to our current system, based on feedback from parents/guardians and staff we have received over the past few years. There is a second round of Parent/Student/Teacher Conferences for your child in Term 3 (see the ePlanner) held on separate evenings. If you have any concerns with your child’s progress before Monday 29 April, I strongly encourage you to contact individual teachers prior to this. Similarly, teaching staff will make contact before this time if there are any major concerns. The Term 1 Vacation Care program details are available online or from the Outside School Hours Care room in the Early Learning Centre. 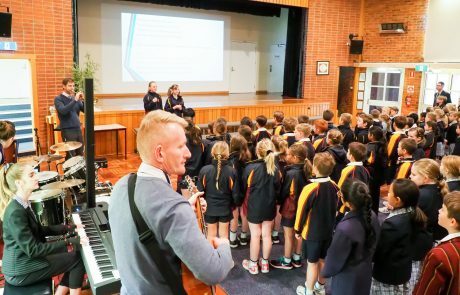 With Easter and ANZAC Day falling in the school holiday period this year, the program will run on the 6 normal business days in the two-week school holiday. Week 1 is from Monday 15 April – Thursday 18 April 18 and Week 2 is Wednesday 24 April and Friday 26 April. 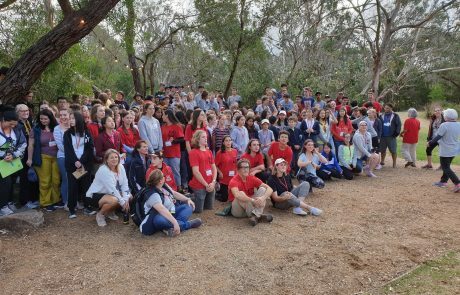 Vacation Care is based at the Elphin Campus and is open to students aged 3-12 from Scotch Oakburn and other schools and usual Commonwealth Government Child Care Subsidies apply to all ages. It runs from 8.00am – 5.30pm each day. Humans have long pondered about the existence of other life in the universe, and given the fact that there are billions of stars and trillions of planets, the probability that some of these planets could harbour life seems quite good. But if this is the case, as physicist Enrico Fermi once famously asked, “where is everybody?”. Despite all our searching, we have found no evidence of intelligent life in the universe. One possible answer to this question is the Great Filter theory, which suggests that intelligent civilisations all reach a point where they develop the technology to destroy themselves and the planet they live on, and they end up wiping themselves out. This is a sobering thought, given that we reached this point in 1945 with the invention of the atomic bomb. So how do we avoid blundering down this path? As is often the answer to many of the world’s ills, education can play a very important role. 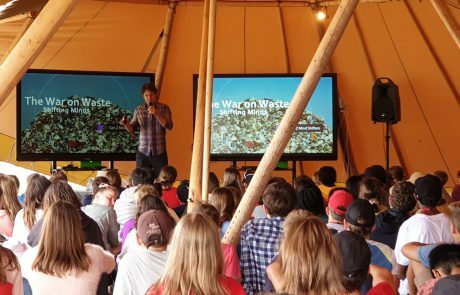 Learning to appreciate differences and diversity, learning about and understanding other cultures and perspectives, seeking to bring people together rather than being divisive, and living in an environmentally sustainable manner are all key behaviours and attitudes that will help us avoid filtering ourselves out of existence. 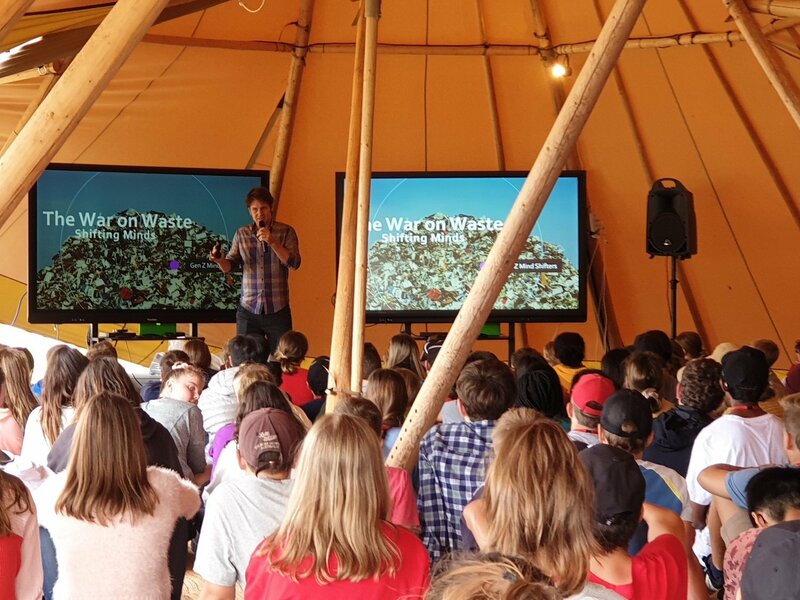 The Round Square IDEALS of Internationalism and Environment are key learning areas that aim to bring stability, harmony and sustainability to our world, and it is great to see these being embedded in the day-to-day learning programs across the College. What are you up to in the school holidays? Why not book tickets for the Launceston Musical Society’s production, The Story of Tonight? 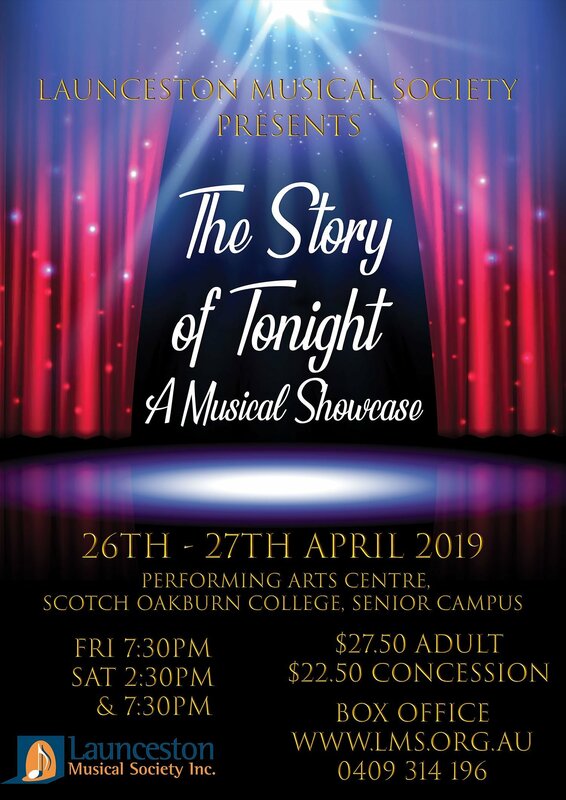 College students Mackenzie Buck (Year 7), Isabella Wilson (Year 5) and Bronte Kendell (Year 11) will take to the stage in solo performances in the production and the Musical Director is our very own Mr Andy Prideaux, Year 4 Teacher! 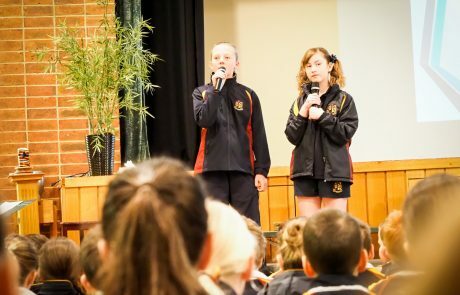 Being held at the Horton Auditorium on the Penquite Campus, and with a cast of over 40 (with 25 of Launceston’s local talent performing) the concert will celebrate all things musical theatre with songs from new and old shows like Guys and Dolls, Wicked, Hamilton, Dear Evan Hansen, Shrek, Rent, Matilda and more. It sounds as though it will be an amazing musical showcase with lots of very talented local artists! Scotch Oakburn played in the NSATIS Finals in all three senior divisions in Girls’ Tennis, indicating a very high standard of play this season across the Senior First, Second and Third teams. The Senior First Team, in seeded order, of Lucy Jones (captain) (Year 12), Tiana Philp (Year 9), Rebecca Clarke (Year 7), Gabby Walker (Year 11) and Lousie Tyson (Year 11) travelled to Devonport to play St Brendan-Shaw College. The match was a closely-fought contest with all girls playing magnificent tennis, finally resolving in St Brendan-Shaw as 2019 premiers. The Senior Second Team, in seeded order, of Sarah Gower (Year 9), Holiday Holcombe-James (captain) (Year 11), Charlotte Oates Pryor (Year 7) and Jade Cleary (Year 7) played their NSATIS Final against Grammar at their Mowbray Heights campus. Despite Grammar having to concede a forfeit and the premiership to Scotch Oakburn, the tennis that was played was spirited and of the highest order. Thanks must go to Mr Jason Fletcher and Miss Sophie Gibson who coached our Senior First and Second Teams this season to a very high standard of play. Their dedication was certainly reflected in the high quality of the girls’ play and presentation. Our Senior Thirds Team played in a mixed tennis roster this year. The Senior Third Gold Team (all Year 12) of Sam Williams, Lily Fontyn, Georgia Watson and George Tsakires in doubles and Sam Williams (Year 12), Lily Fontyn (Year 12), Ryan Puccetti (Year 7), and Emma Hardwicke (Year 11) in singles played a decisive match winning the 2019 premiership in style. Thanks must go to Ms Sarah Lillywhite and Ms Sharon Whiteley for coaching and managing a very successful program for the Senior Thirds this year. The Division 4 and Division 5 tennis girls enjoyed social tennis this season, there being no NSATIS roster for these divisions. Thanks to Miss Claire Kavic and Mrs Lauren Knight for coaching these girls in a successful tennis season. Tennis will resume in Term 4 for Years 7 to 10. Thanks to parents and girls for your support in making Tennis at Scotch Oakburn a really great game to play. Recently, I saw a mother give a simple, yet profound resilience lesson to her three-year-old. The toddler fell into his dog’s bowl, saturating his t-shirt and giving himself a fright. His mum quickly helped him saying, “Oh well!” The three-year-old bravely parroted his mother, saying, “Oh well!” and dashed off to play. It’s in our reactions to these and other everyday mistakes, mess-ups, muck-ups and hurts where the big lessons in resilience are taught and reinforced. Every day there are opportunities for parents to give their children lessons in resilience. There are times when “Oh well” won’t cut it. When a child is bullied he needs your continued support. When a student’s continuous efforts at improvement are constantly met with criticism then you may need to act on his behalf and meet with a teacher. When a child always struggles to make the grade and is never picked for a team then you may need to help him make different choices. These types of situations also present opportunities for daily lessons in resilience, but they require more parental support and teaching. Promoting personal resilience focuses on helping kids cope with life’s hurts, disappointments and challenges in the present, while building strengths for the future. Daily lessons in resilience are everywhere. You need to be ready to make the most of these valuable lessons when they come your way. The experiences we face in life play a major role in defining who we are and who we become. 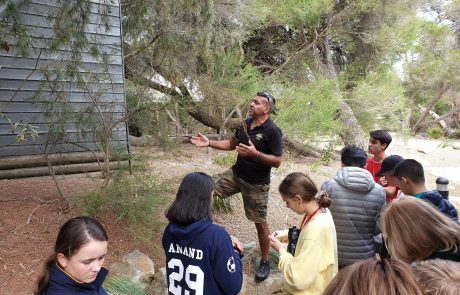 For most of the Scotch Oakburn College students, these experiences are already shaping their outlook on life. 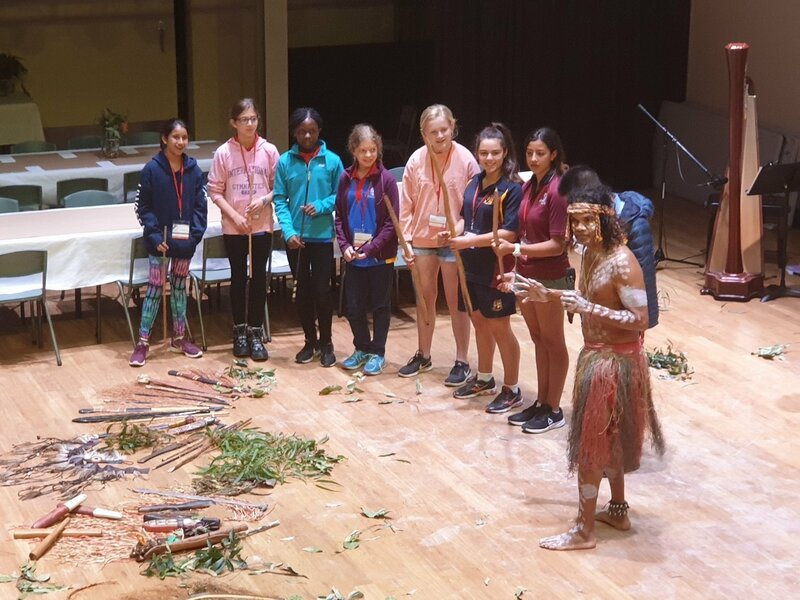 The program offered by Woodleigh School for this year’s Junior Round Square Conference has been amazing, perfectly moulding environment, service and adventure into a package that focuses on developing the whole person. This experience will have a positive and lasting effect on all participants. 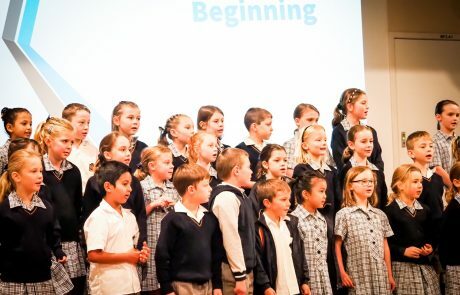 A would like to take this opportunity to thank all of those parents and staff who have visited and participated in the classes or individual programs available in Term 1. We have had an excellent response and I am excited to think that we will have even more in Term 2. Even if you just want to come along and check out the facility, please do not hesitate to do so. The fitness centre will be open 6.30am until 8.30am on both the Monday and Wednesdays of the school holidays (15 & 22 April and 17 & 24 April). During Term 2 it will be open from 6.00am until 8.15am Monday to Friday and again in the afternoon from 3.30pm until 6.00pm Monday to Thursday. *Please note all AM classes start at 6.15am and afternoon classes at 5.00pm. *Cycle HIIT class- if possible bring your own road bike and Wind trainer. We have 5 bikes available. 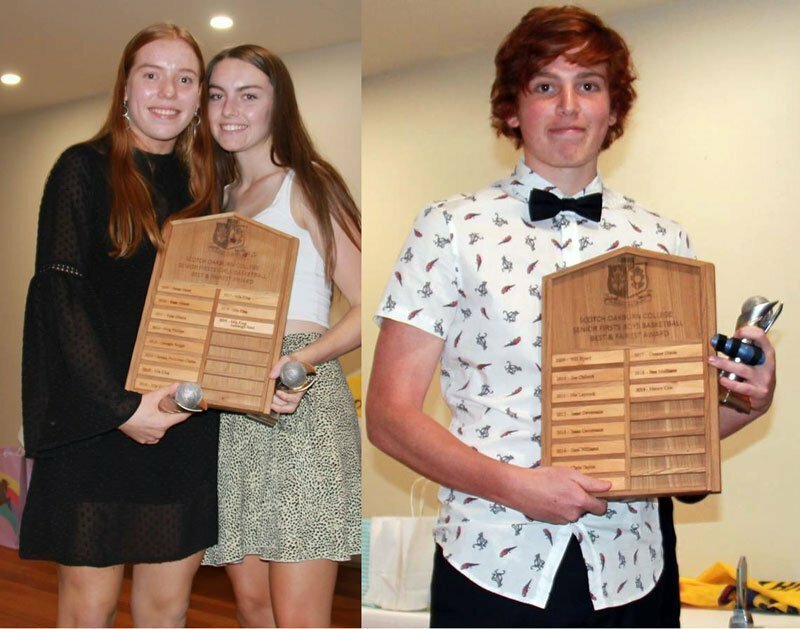 The Scotch Oakburn College Senior Basketball program capped off a great season when it held its dinner and presentation evening last week. 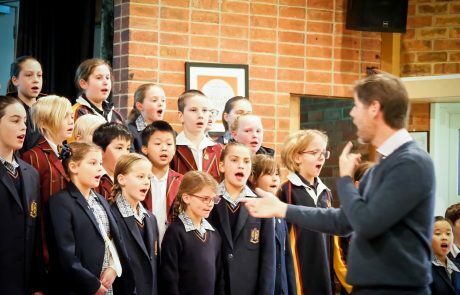 Scotch Oakburn featured in three grand finals in Term 1. Winning the NSATIS Senior Girls Seconds Grand Final and Runners-Up in the Senior Firsts Boys and Senior Thirds Girls competitions. We also farewelled some of our Year 12 students who have given so much to Basketball during their time at Scotch Oakburn and we thank them for their excellent contributions. We now look forward to Term 3-4 competitions (including the College Championships in August) and of course our Basketball Tasmania Tournaments which will run in November. Thank you to all our players, coaches and parents for your continued support of the basketball program. 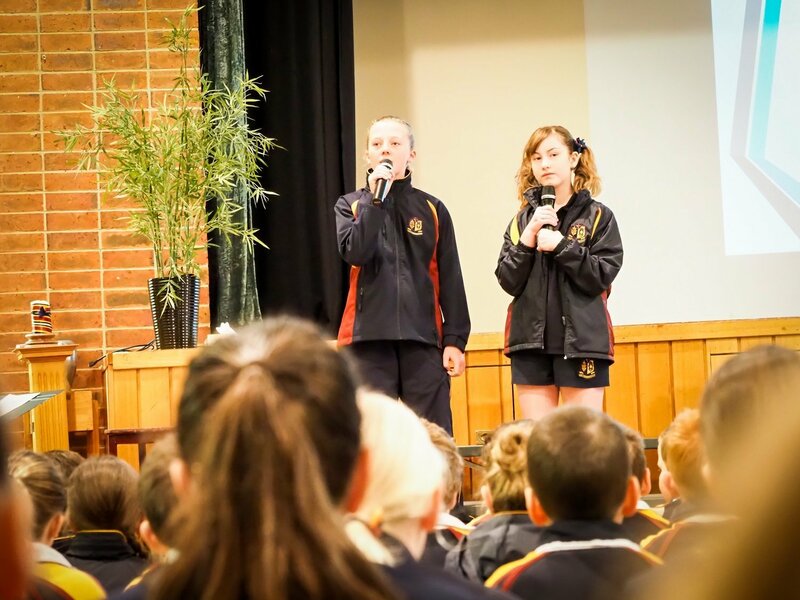 Award-winning author Aleesah Darlison visited Scotch Oakburn College this week as part of her national tour. 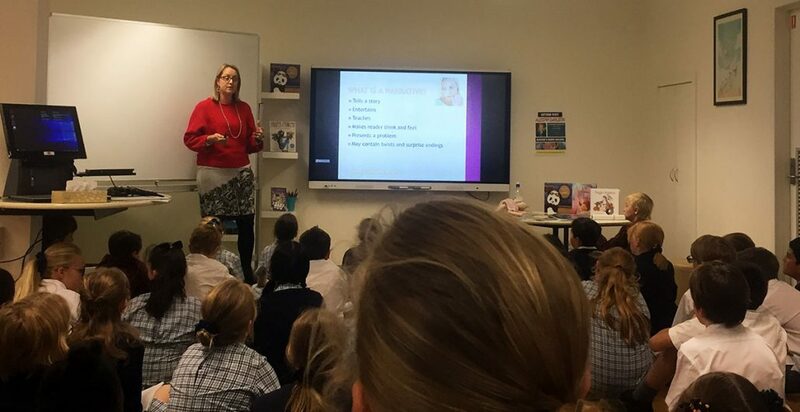 She worked with Year 3 and Year 5 students and presented an educational writing workshop with a focus on Narrative Writing. Collectively we brainstormed an Orientation; – introducing our reader to the main character and the timing/setting of the story, – and refined this to build a Sizzling Start. We then explored possible Complications and how our character would work through these obstacles. Students now have a detailed plan that they can then build upon and finish the story in class. We were challenged to work to short time limits to craft a story but energised by the planning process enabling further writing to flow. Thank you also to the students who helped serve the students and guests, while explaining each dish to them, during this dinner. However, a very special thank you goes to Joey Wong (Year 11) for her efforts in the kitchen during the day to help prepare all the food. She generously gave up her time to be the chief taste tester and assist the kitchen staff. The favourite dish of the evening seemed to be the Marpo tofu with steamed rice. So, watch out for this, aka, Joey’s Special, to become a regular menu item at the Boarding House in the future. Thank you also to all the kitchen staff for their efforts in making this event a success. Jonathan Clarke (Year 10), Rebecca Clarke (Year 7) and Theo Ives (Year 11) have been selected as members of the Tasmanian Canoe Polo team which will be taking part in the Australian Canoe Polo Championships in Penrith over Easter. This is the first time in over 20 years that Tasmania will be represented at the Championships. We wish them every success! Making the D Grade finals, were clubs Midlands and Kentish. The winning team, Midlands, consisted of George Willows (Year 5) and Alex Miller (Year 4). 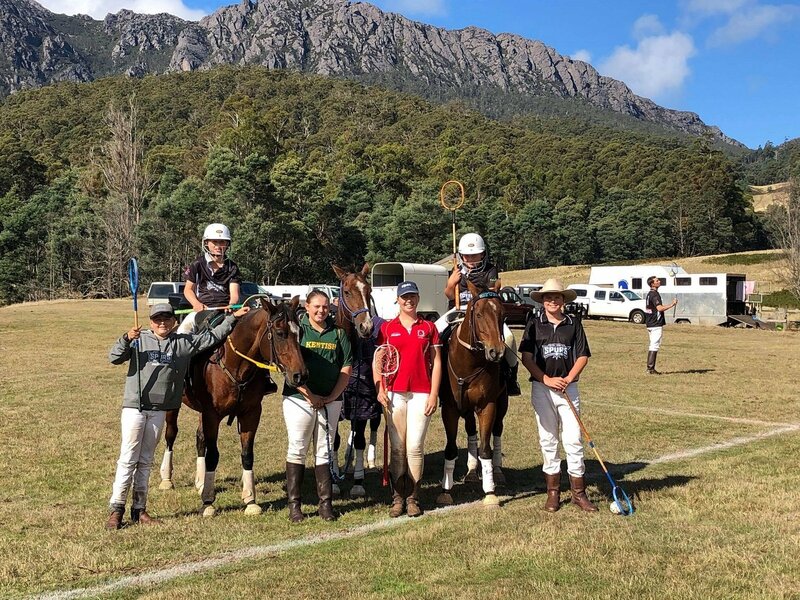 The C Grade final was fought between Northern which included Jock Johnston (Year 6) and past student Abby Clements (’18) against Kentish, which ended up victorious with Madeline Fenner (Year 10) being a part of this team. Angus Green (Year 6) was also in the C Grade playing hard all day for Midlands. The B Grade was another tough final with players Georgia Clements (Year 11) from Northern and Grace Grove (Year 12) as well as past equestrian captains Nic Archer (’08) and Matilda Scott (’16) from Midlands battling it out for the title, won on the night by Midlands. The last final, the A Grade final was spectacular to watch. The teams that played were Midlands which included Isabelle Greenhill (Year 12) and past student Will Jones (’17) battling it out against Kentish. After an intense tiebreaker, Kentish managed to score and take away the win by just one goal. 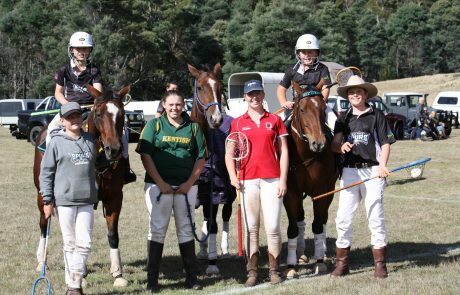 Some of the other individual prizes include Grace Grove who won best player in the B Grade final, Georgia Clements was a part of the best Chukka (Team of 3), George Willows was awarded best number 2 in D Grade and Alex Miller was awarded the best player in the D Grade final. In August 2018 the College made a bold and significant announcement, we were going to restructure the fees in 2019, a restructure that would have a significant positive impact for families of students in Prep to Year 8, leading to a freeze on fees in Years 11 and 12 for 2019. As stated at the time, College Leadership and the Board recognised that the fees at the younger year levels had grown disproportionately, compared to those at the senior end of the College and therefore out of reach of some families. This restructure of the fees was able to be made due to many years of prudent financial management of the College while simultaneously investing in educational programs and facilities. 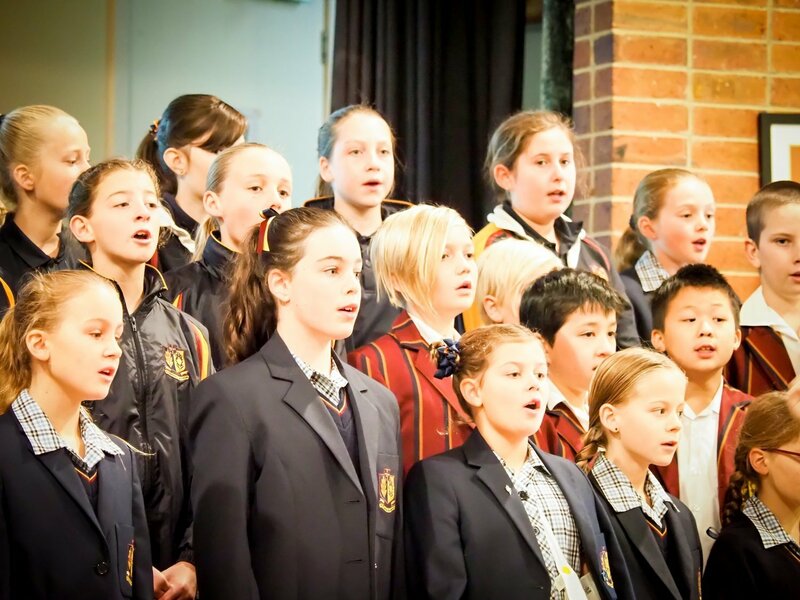 During the planning for the restructure, a key element was the imperative that the quality of the educational programs that are a hallmark of Scotch Oakburn were maintained. In addition to affordability for our community, a second goal was to ensure the College maintains a ‘healthy’ enrolment, one that is below the theoretical or absolute maximum capacity our facilities can cater for but is at a level that ensures educational, social and financial sustainability well into the future. The fee restructure has been a courageous decision by the Board and College Leadership but one that has resonated strongly with our community and been well supported. The combined effects of the integrated marketing campaign in the 2nd half of 2018 and the fee restructure have led to an above average enrolment in 2019. Whereas in recent years we have enrolled, on average, 78 new students across Prep to Year 12, this year we enrolled 134 – a 72% increase. 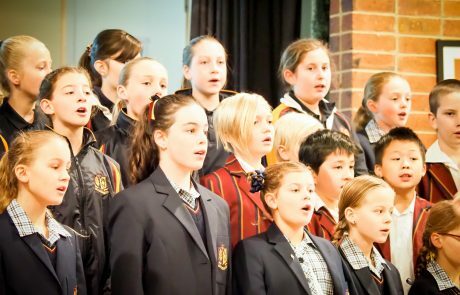 When distributed across the thirteen year levels from Prep to Year 12, this is an increase of just over 4 additional students per year level. Hence, although an increase on previous years, there is capacity for a similar enrolment in 2020 without going anywhere near our theoretical maximum student capacity. In the meantime, Early Learning has maintained its usual excellent enrolment numbers of our youngest students. (ii) improved access to Scotch Oakburn Park with a two lane roadway entering off Penquite Road. In the classroom, we have put in place a structured Literacy Program, led by a Literacy Coordinator and Teaching Team, at Elphin to assist our students to grow their learning, ability and confidence in this foundation area. 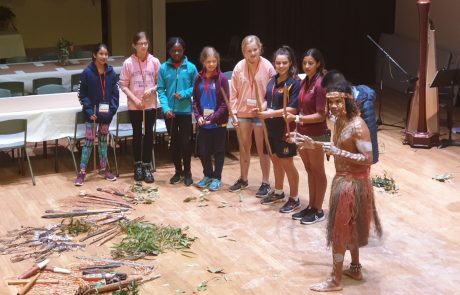 This is truly an exciting time for Scotch Oakburn and the College will continue to flourish due to the support of our community, quality of our holistic education and foresight of those who are responsible for its strategic direction. 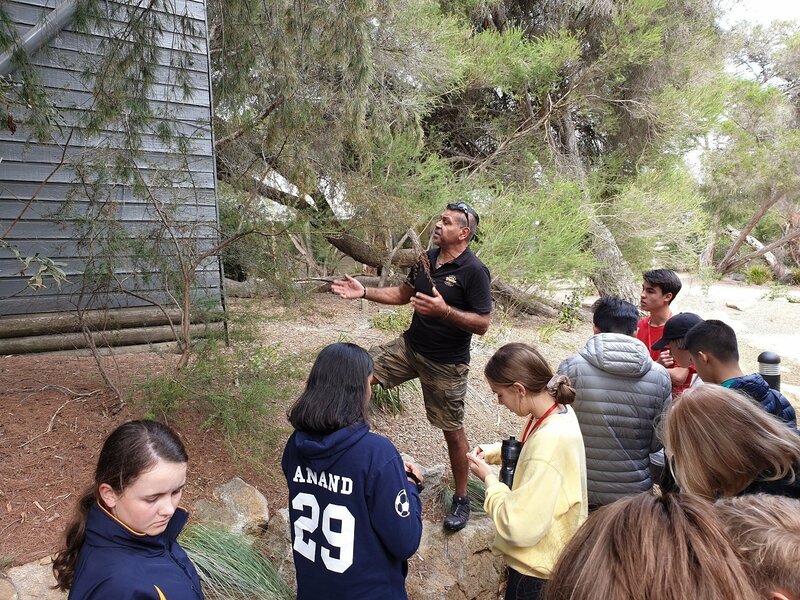 I trust that your family’s start to the 2019 academic year has been a smooth one and on behalf of the College, I look forward to the continued involvement, support and enjoyment of all Scotch Oakburn community members in the future. 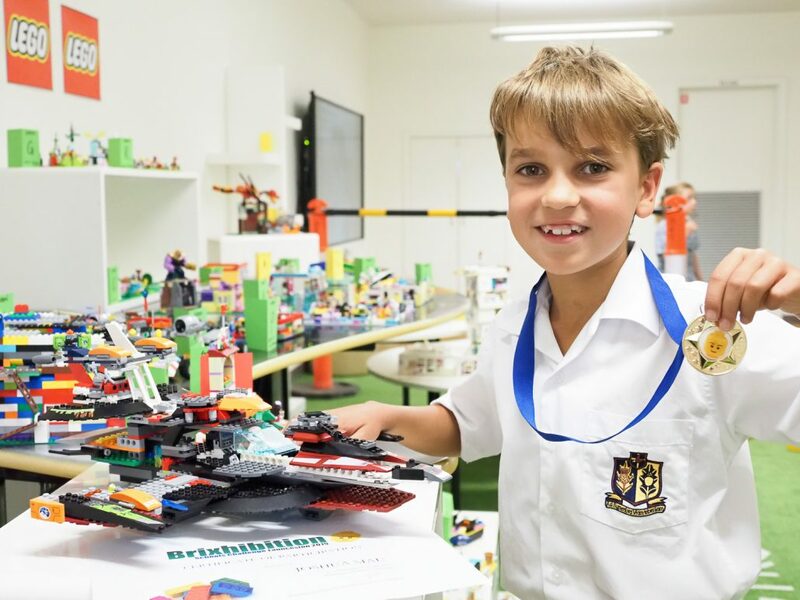 Congratulations to all 64 LEGO creators who shared their amazing creations with us all in conneXions over the last two weeks. The overall winning LEGO creation, which will be exhibited at the Brixhibition at the Albert Hall on the weekend of April 13-14 was Joshua Mau from Year 3 Kerrison. Thank you to all the students and families who contributed to such a wonderful school exhibition this year. All students in Years 2-5 are currently reviewing their school Computer Use Agreements with teachers at school. The agreements will come home for discussion and signing with parents before being returned to school. All online access at school is closely monitored and is in conjunction with ongoing teaching and learning around appropriate usage and decision-making in relation to this. The communication and learning benefits of the online world, together with the potential risks it can bring, need to be clearly understood by students. 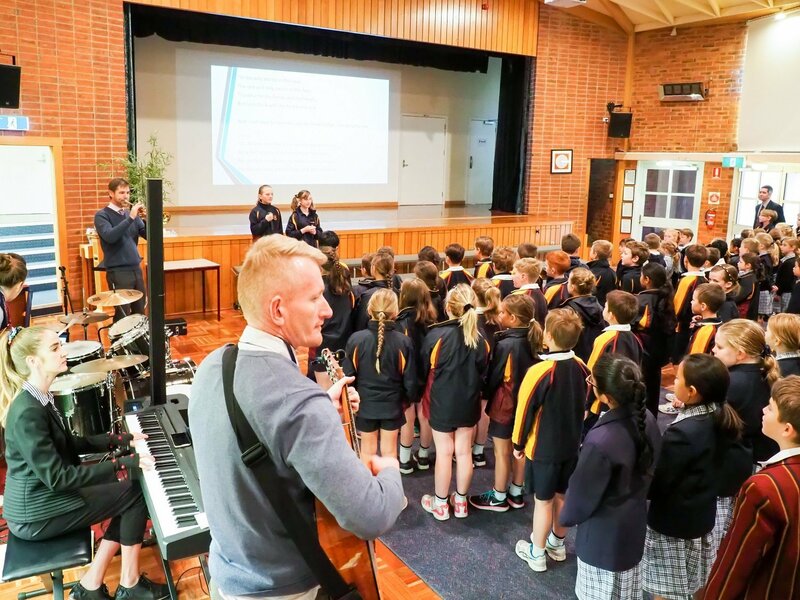 National cybersafety expert Susan McLean is one of many professionals in this field highlighting the fact that the cognitive development of children of Primary School age is a key reason for age specifications for accessing online social media. This means that social media is not accessible to Junior School students through the College network. It also means that the same should apply outside the school. The minimum age for opening a Facebook, Instagram, Twitter, Pinterest, Tumblr, or Snapchat account is 13. Youtube can be viewed from a younger age, but 13 is the minimum age for posting/having a Youtube account with parent permission (otherwise 18).